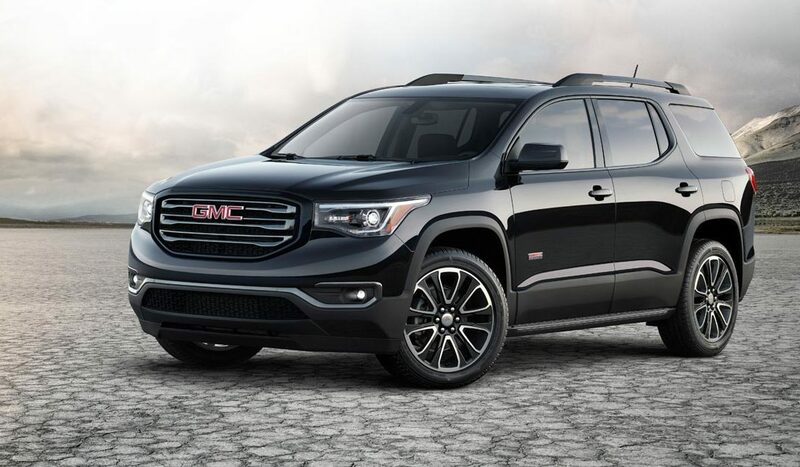 The New 2018 GMC Acadia is Now Available near Toledo! In Toledo, Ohio, the winters are cold and the roads are bad. Stay safe and warm in your new 2018 GMC Acadia from Snyder Auto Group in Napoleon, near Toledo! Sophisticated and tough are two traits that GMC doesn’t disappoint in when designing their new models. These multi-use SUVs are fancy enough to drive on date night and tough enough to withstand the rocky, muddy trails of off-road terrain. You’ll love the looks, the accessories, and the safety features that the new Acadia models have to offer for you and your family. General Motors’ (GM) StabiliTrak® is a correctional feature that helps to keep vehicles from swaying or fishtailing. When necessary, the vehicle will automatically apply the corresponding brake to help return the vehicle to a forward motion. Benefits of StabiliTrak® include helping the driver maintain control when driving on low-traction surfaces like gravel, ice or snow. The 2018 Acadia models also come equipped with other safety technologies like the Low Speed Front Automatic Braking, Rear Parking Assistant and Rear Cross Traffic Alert. Safety Alerts include Lane Change Alert, Forward Collision Alert, and Side Blind Spot Alert. ission. This efficient SUV has a 22 gallon gas tank, and averages 25 miles per gallon on the highway. The gas mileage is great for a larger vehicle; even when driving in the city, the 2018 Acadia gets 21 miles per gallon! Aside from the extraordinary mechanics of the Acadia, the remarkable interior will also grab your attention. Imagine this: never having to dig for your keys again. Being able to charge your phone wirelessly. Imagine your kids never fighting over the front seat again because now the second row seats are heated! All of these dreams are possible with the GMC Acadia. Keyless entry and start are now standard on the Acadia. Wireless phone charging and second row heated seats are also available. This SUV will have your music sounding the best in Toledo, Ohio! Every one of the GMC Acadia models come with a 7 or 8 inch color touch screen radiowith IntelliLink™ and AM/FM radio, an auxiliary jack, Apple CarPlay and Android Auto. No matter what music you’re playing, it will sound incredible through the 6 Bose speakers throughout the entire vehicle. If you’re ready to find the perfect Acadia for you and your family, check us out online at Snyder Auto Group or stop in at our dealership, conveniently located near Toledo, Ohio! The Perfect GMC Sierra 1500 for Any Toledo Resident! The New 2018 Chevrolet Equinox is Now Available Near Toledo, Ohio! Now Offering the 2018 Chevrolet Malibu for Residents of Toledo, Ohio! Introducing the New 2018 Chevy Traverse for Residents Near Toledo, Ohio! Mr WordPress on Do You Believe in the Cleveland Cavaliers?